A punctilious student, Brademas was soon winning a number of important scholarships (to Harvard in 1949 and to Oxford in 1954, among others). At the same time, he worked in a car plant in his home town. Similarly, he spent a month at a summer camp working alongside native communities in Mexico (having hitch-hiked there from Indiana with a friend), since his initial interest was in Mayan archaeology. His time in Mexico prompted him to write an essay, not on Mayan archaeology but on Mexican sinarquismo (a far-right syndicalist and social movement)2 for Harvard University. 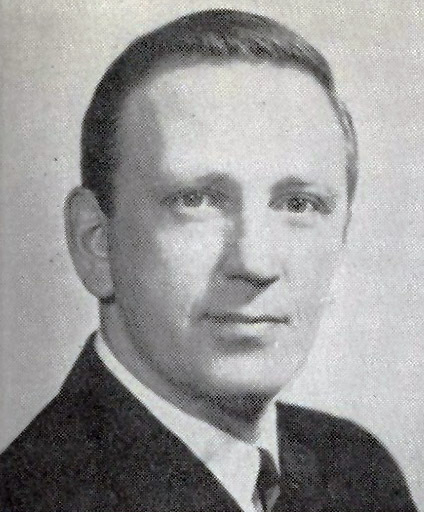 At Harvard, he pressed on with his studies into the Spanish-speaking world until he came across Gerald Brenan’s book, The Spanish Labyrinth (1943).3 A British Hispanist who spent much of his life in Granada, Brenan is considered essential for understanding the complexities of the unique background of the Spanish Civil War. Brademas was enthralled by the parts of the book dealing with the anarchist movement in Spain. Later, he decided to write to Brenan to seek some bibliographical advice because he wanted to write a thesis based on his book. Brenan responded amiably and at some length, making two essential suggestions: first that he go to Amsterdam where the International Institute of Social History (IISH) sits, with its magnificent archives. Secondly, in an act of generosity, Brenan offered him his contacts and addresses of several anarchists exiles in the United Kingdom and in France and of others living “under the radar” in Francoist Barcelona. Brademas turned up in Francoist Barcelona in 1952 in search of interviews and correspondence to complete his thesis, which he completed at Oxford in a mere two years. Oddly enough, the book made barely a ripple in the academic7 world and in anarcho-syndicalist circles.8 This can, perhaps, be explained by essentially three reasons. First, it was a thesis penned in the 1950s by an author who had long since stopped working as an historian (his doctorate was in the social sciences). The author himself never disowned his work but he also failed to give it due attention. 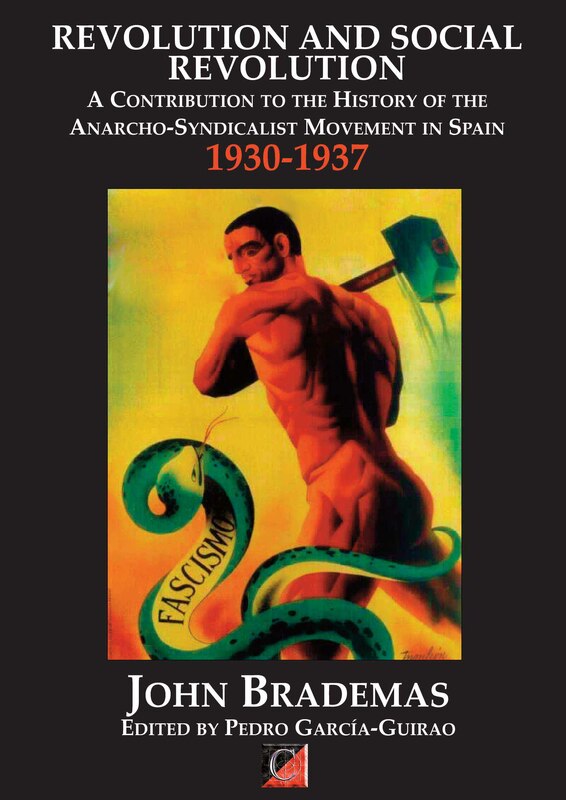 Secondly, the publication of the book coincided with the mid-1970s bibliographic boom on the role of anarchism in Spain, the story very often being told by the protagonists themselves (who were still in exile), which may explain how the book passed unnoticed in the midst of a flurry of publications on the topic. And, lastly, Franco’s death on 20 November 1975 implied a radical shift in focus and concerns in Spain. The failure of the book to make a great impact at the time in no way detracts from either its significance or the quality of the scholarship contained within. The fact that the talk had to turn to collaborationism when the aim was to talk about matters unrelated to it is telling in itself, in that it reflects what it was within anarchism and, as far as anarchists were concerned, that were the fundamental tenets of their beliefs. But the collaborationism issue per se touches upon rather more than the fundamental pillar of the anarchist revolutionary philosophy. Plainly, we are dealing here with the stability of the ideology as a political factor; but we are dealing also with the crucial point where the need arose to adjust that ideology to the exigencies of practicality; as much or more than dyed-in-the-wool philosophers, the anarchist leaders were heartfelt revolutionaries not fond of shackles, even ideological ones. 2) Furthermore, and although Brademas broadens the focus on collaboration by arguing that both the FAI and the CNT at various times played along with the state and the Second Republic, the fact is that such a contention cries out for a few clarifying nuances. The author seems to somehow have forgotten that the CNT and the FAI alike were made up of rather more than their most high-profile leaders – who actually were the ones who did the collaborating. In this regard it could be said that the grassroots membership actually did not collaborate with the state and largely remained aloof from the ideological “betrayals” of their leaders. The fact is that at a personal level each militant was free to decide whether or not to collaborate with the politicians, whether or not to vote, or whether or not to turn out for parliamentary-type meetings. There was never any official stance in the form of ordinances stating that the CNT as a body was throwing its weight behind this or that political party. 3) In the author’s view, once the Second Republic was up and running, the CNT had to amend its revolutionary plans, not just on account of the repression initiated by the Law for the Defence of the Republic (1931)14 but also in light of the international context. According to Brademas, the collaboration with other political parties and unions could be explained in terms of the growing threat of fascism, especially after 30 January 1933 when Adolf Hitler’s party secured a majority of the votes in the elections. The fear of fascism coming to power peacefully in Spain through “lawful” elections led to a relaxation of anarcho-syndicalist ideological principles. Abstentionism or a posture of political neutrality in the face of the real fascist threat might have been construed as a maverick act of independence or as a favour to the forces of reaction. Whilst in the eyes of anarchists the Republic deserved to lose the elections, the parliamentary alternative was even more to be feared. Brademas explains: “The treintista [that is, the reformist or moderate wing of the CNT] stance in the face of the fascist menace was that of a proletarian united front: the Workers’ Alliance”. As far as, say, Joan Peiró (Secretary General of the CNT, Minister of the Industry during the Second Republic who was extradited illegally and killed by Franco’s agents), was concerned, that Workers’ Alliance had nothing to do with the elections (being exclusively proletarian unlike the inter-class Popular Front), which is to say, an electoral alliance. Rather, for Peiró, the first step in standing up to fascism was insurrectionary proletarian mobilisation that would lead to the creation of a federal republic within which each community might organize itself politically however it saw fit. After that, it was believed that the anarchist revolution would unfold much more easily. The ‘immediate programme’ of the Council called for: concentration of all efforts on the war, a unified command, coordination of all fighting organisations, the creation of compulsory militias and the strengthening of discipline; and the putting into practice ‘immediately’ of the economic measures announced in August by the Council of Economy. Between 1929 and 1934 the communists in Spain spent most of the energy in attacking the other working class organisations. There was no question of an organised front with the anarchists or socialists. […] The new swerve to the right was dictated of course by the paramount consideration of the foreign policy of the Soviet Union. The need of the USSR to protect the Franco-Russian alliance and to maintain cordial relations with the democratic powers had become more and more urgent with the danger of mounting German strength. From October and November on, the Communist Party spoke not with the peevish voice of outraged dialecticians but with the full power and weight of anticipated Soviet aid. For aside from Mexico the Non-Intervention Pact deprived the Republic of the opportunity to buy weapons from any other nation. The Soviet Union had weapons and so called the tune and the tune was, ‘Stop the revolution now.’ The exigencies of Soviet foreign policy demanded that there be a policy of moderation, not of social ferment in Spain. The counter-revolution, led by the Communist Party, began with fierce intensity. Less than three weeks after the July rising the Spanish communists had decried the wave of collectivisations, industrial and agricultural, and insisted that the workers had the picture all wrong. The war was strictly a question of putting down a military revolt. The protection of the democratic Republic was the slogan and no nonsense about social revolution. There was no question of allowing war material to go to the anarcho-syndicalists in Aragon for this would make even more difficult the task of the Central Government in militarising the militias. For reasons which we shall elaborate later the Soviet Union was fiercely opposed to the workers’ control of Catalonia and the social revolution of the anarcho-syndicalists and therefore earmarked none of this aid for CNT militias. Faced with such scenario, Brademas ends his book with a categorical phrase: “the Spanish Civil War continued; the Spanish Revolution had ended”. What Brademas outlines is not necessarily his own opinion of the matter but, as we have stated before, the conclusions he drew from a range of sources: materials at the International Institute of Social History (IISH) in Amsterdam, letters and unpublished documents made available to Brademas by anarcho-syndicalists exiled in France and the United Kingdom, as well as interviews with some of the protagonists (José Peirats, Germinal Esgleas, Federica Montseny, Arthur M. Lehning, Joan P Fábregas and Juan López Sánchez). In addition, the book contains nearly 600 footnotes offering further clarification and bibliographical suggestions, plus two valuable appendices that cast important light on years that were as heroic as they were ideologically incongruent for the anarchist movement. The first – the Manifesto of the Thirty (August 1931) – is an important declaration of moderate anarcho-syndicalists one month into the Republic, while the second – the memorandum The Events of May 1937 in Barcelona – is a report presented by the CNT National Committee on one of the most controversial events in revolutionary Catalonia. If anarchism succeeded to spread so widely in Spain whilst grappling with so many internal and external issues, we can only imagine how far it might have gone had it acted with unity and in keeping with its ideological principles and, above all, had the blight of fascism not loomed over Europe. Other topics in Brademas’s book have been somewhat less hawk-eyed or maybe have not delved into the detail the way that has been done above. For instance, there is barely any reference to the incontrovertible part that women played in the revolution.19 When the author mentions women it is in relation to trade union demands such as the insistence that females and under-16s should not be working night-shifts, or that seamstresses should seize their bosses’ sewing machines. What Brademas does show is that even when it came to collectivized industries, women carried on being paid the same as before or even lower wages for the same work as was done by male colleagues. Despite this “oversight” in respect of women’s issues, the author does – at least – note the role and the testimony of Federica Montseny. Ultimately the book is quite a traditional top-down political history. Similarly, the author fails to deal with the delicate matter of revolutionary violence with appropriate rigour, especially as regards the violence against the clergy20 and the settling of personal scores under the Second Republic and, more especially, during the Civil War. For instance, he states that “The clergy, on the other hand, suffered systematic persecution from revolutionaries”, without adducing any evidence to back up this assertion and dispatching it with a tiny footnote. In fact the figures for clergy executed during the Civil War climb as high as 7,000 on the so-called republican side (where the anarchists were a minority). 21 The fact is that, as in every revolution, the anarchist revolution passed through an initial stage of destruction before entering a later more positive or constructive phase. The shocking ease with which Spanish anarchism, even in times when it was really thriving, virtually collapsed under the lash of government repression and was rendered almost wholly ineffective as a clandestine force, derives from their fragmented and decentralized organizational formats. In other words, as far as Brademas was concerned, the root of that weakness lay in the fact that neither the CNT nor the FAI managed to operate as particularly disciplined or well-structured agencies: “the lack of unity virtually guaranteed a resounding failure.” The rationale lurking behind this view is rooted in the old “divide-and-conquer” adage and, according to him, this particular way of dividing up the different trade union sections of the CNT was of no help when it was obliged to stand up to the enemy in an organized way. Nevertheless, this is an unfortunate or indeed false logic because, in actual fact, the strength of the CNT/FAI lay precisely in their apparent “disorganization” and “diversity”. The very federal and local structure of the CNT’s branches was a boon to its activities and this was because, for instance, it enabled the membership to dodge police persecution, or at the very least greatly hobbled police work when it came to repression. Despite such minor inaccuracies and misinterpretation, the book retains its splendid validity and is based on vast unpublished primary sources. In any case, let the reader test his or her prejudices against an unmistakably non-anarchist author writing about controversial areas of anarchist history and practice. The fact is, when all is said and done, this book contains abundant riches and just a few of the drawbacks typical of a book written by an outsider. 1 “Memories of John Brademas, NYU’s 13th President” (18 July 2016). 2 See Jean A Meyer, El sinarquismo: un fascismo mexicano? 1937-1947 (Mexico, Editorial J. Mortiz, 1979). And, in English Albert L Michaels, “Fascism and Sinarquismo: Popular Nationalisms against the Mexican Revolution”, Journal of Church and State, Vol. 8, No 2, 1966, pp. 234-250. 3 The Spanish Labyrinth: an account of the social and political background of the Civil War (Cambridge, Cambridge University Press). 4 T he biographical information above comes principally from an autobiographical text (22 pages) deposited with the archives of the University of Illinois at Urbana-Champaign [online]. 6 It might be worth remembering here that Spain was still under a moribund Francoist dictatorship. The Information and Tourism Minister at the time was Pío Cabanillas and he placed no obstacles in the way of the book’s publication. 7 One of the few academic reviews it received was by Gérard Brey, Revue d’Histoire Moderne et Contemporaine, Vol. 24, No 4, 1977, pp. 667-670. 8 One of the few reviews coming from within the anarcho-syndicalist orbit was by Frank Mintz (http://raforum.info/spip.php?artricle 394). 9 Ángel Herrerín López, La CNT durante el franquismo. Clandestinidad y exilio (1939-1975) (Madrid, Siglo XXI, 2004) pp. 68, 77, 98, 301, 345, 415 and 418. 13 José Peirats, Los anarquistas en la crisis política española (1869-1939) (Buenos Aires, Libros de Anarres, 2006) pp.73-76. 14 Gaceta de Madrid, No 295, 22 October 1931. On the Law for the Defence of the Republic see: Chris Ealham, Class, culture and conflict in Barcelona, 1898-1937 (London & New York, Routledge, 2004) p. 69. And, Anarchism and the City: Revolution and Counter-revolution in Barcelona, 1898-1937 (Oakland, Edinburgh and Baltimore, AK Press, 2010) pp.77-80. 15 This point is in direct contradiction with the theses set out by Michael Seidman in his book Republic of Egos: a social history of the Spanish Civil War (Wisconsin, University of Wisconsin Press, 2002). 16 See Paul Heywood, Marxism and the failure of organised socialism in Spain, 1879-1936 (Cambridge, Cambridge University Press, 1990). 17 See Juan Francisco Fuentes Aragonés, Francisco Largo Caballero: el Lenin español (Madrid, Síntesis, 2005). 18 Paul Preston, The Spanish Civil War: Reaction, Revolution, and Revenge (Revised and Expanded Edition) (WW Norton & Company, 2006) describes it as “noisy rhetoric.” p.69. And, Paul Heywood, Marxism and the failure of organised socialism in Spain, 1879-1936 (Cambridge, Cambridge University Press, 1990) mentions in this respect that: “In the final analysis, revolutionism and reformism within the Socialist movement were simple abstractions, poorly articulated and divorced from political reality.” p.179. 19 Two good sources on anti-clericalism in Spain are: Manuel Pérez Ledesma “Studies in Anticlericalism in Contemporary Spain” in International Review of Social History, 46 (2201), pp. 227-255: and Julio Caro Baroja, Introducción a una historia contemporánea del anticlericalismo español (Madrid, ISTMO, 1980). 20 Martha A. Ackelsberg, Free women of Spain: anarchism and the struggle for the emancipation of women (Oakland, West Virginia and Edinburgh, AK Press, 2005). 21 “On the whole, about seven thousand members of the clergy were killed, including 13 bishops, 4,184 priests, 2,265 monks and 283 nuns during the Civil War in Spain”, in Tadeusz Miłkowski “The Spanish Church and the Vatican during the Spanish Civil War” in The Polish Foreign Affairs Digest, 3, (2004), p. 210.